Our office promises high-tech equipment, which will provide your child with the safest most advanced treatment available and the confidence that they’re receiving quality care. 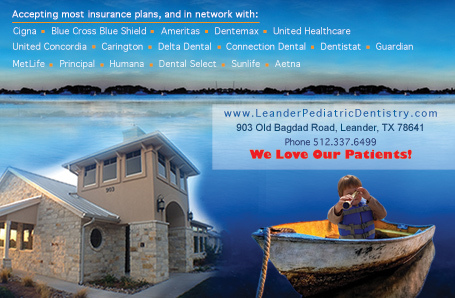 Leander Pediatric Dentistry is on the forefront of computer technology with the most advanced dental equipment available today. Our office has digital x-rays, gaming stations in the waiting room, and televisions at every dental chair. Our open bay sterilization reveals how cleanliness is of the utmost importance. It is our goal to make every visit fun and special for you and your child.